There are many ways to arrange all the places to visit and learn about in the Tankerhoosen Valley. In this section they are arranged by roadway so that as you drive, bike or walk you can learn more about what you are seeing or what is just out of your sight. Where available there are links to other articles on the website for more information on the sites along the way. There are also links to information on other website. Links are also provided to Google Maps so you can see or zoom in on the area being described. Google Maps also provides a street view in our area so you can move up or down the road and look to either side (Click on the 'A' symbol and then 'Street View'). It also provides some photographs of selected areas. Vernon roads designated as 'Scenic Roads' are fairly new to Vernon. 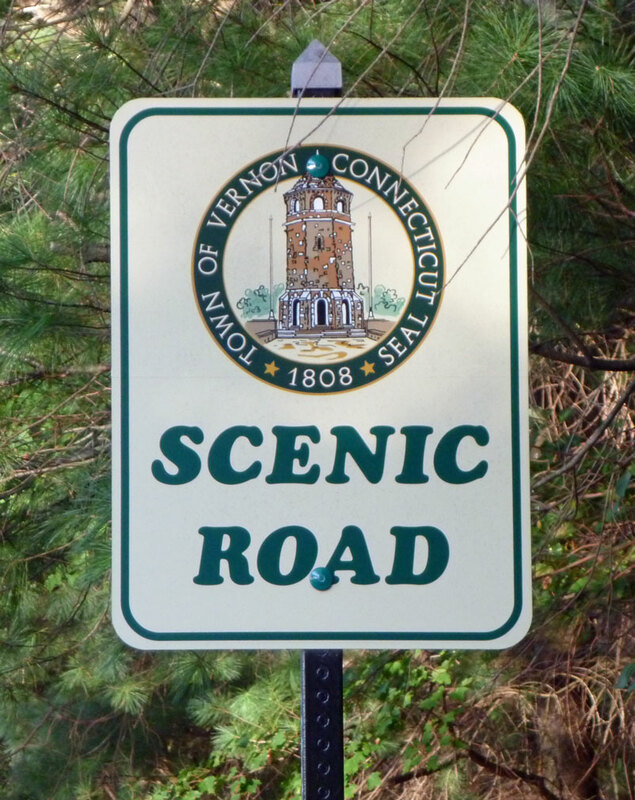 In 2005 the Town Council passed Ordinance #256, known at the Scenic Road Ordinance on the recommendation of the Conservation Commission. The goal of the ordinance is to preserve the few remaining roads that show the town's natural and rural historic character. Currently four roads, all in the Tankerhoosen Valley, are designated as 'Scenic Roads'. 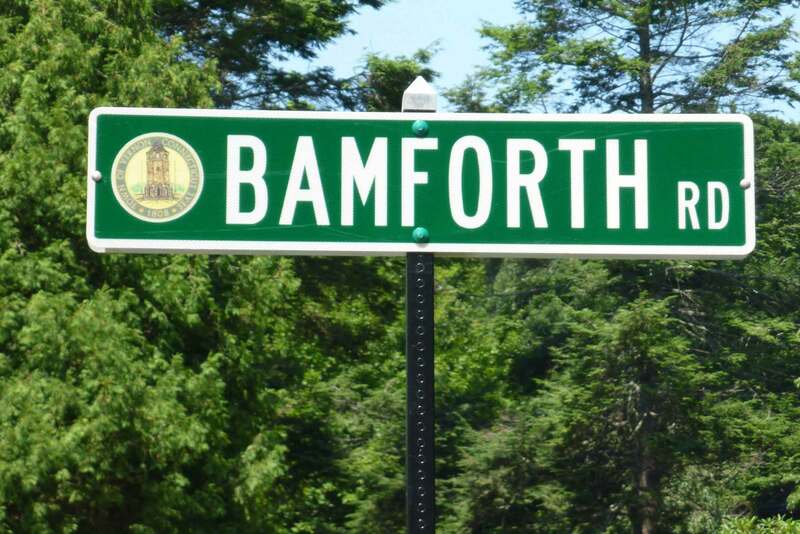 Bamforth is a short road, less than a mile long. It begins at Route 30 and descends into the Tankerhoosen Valley ending at Bolton Road. It is one of our first roads and is part of the connector from Rockville to Bolton. For such a short road it includes a number of interesting features. It begins on the Old Post Road to Boston, follows the Clark Brook for a time, crosses the new route to Boston - I-84, passes an American Chestnut Restoration Project, the Old Burial Ground of North Bolton, the rock walls of the Belding Wildlife Preserve, a Butterfly Garden and ends at the Belding country homestead. Not bad for a half mile of road.